I woke up at 8am, planning to make an early start on my trip to the Western Visayas. But as usual I dawdled the morning away, and pretty soon it was already noon. What the hell had I accomplished? Finally at 1pm I grabbed my pack and left the house. I found my way down to the South Bus Terminal in Cebu City and hopped on the first bus I saw coming out of the terminal... which coincidentally, was headed just where I wanted to go: Toledo City, over on the west side of Cebu Island. 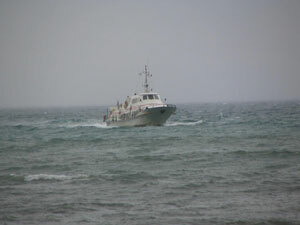 I arrived at the pier in Toledo late on a rainy, stormy Monday afternoon. Even me, who's usually Mr. Ironstomach at sea, got a little bit seasick; but I held my cookies. My boat arrived in San Carlos, Negros Occidental after sunset and I wandered around town in the dark searching for a lodging house. I found CoCo Grove Hotel... simple and only P120 per night for my own room. 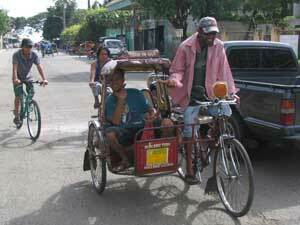 San Carlos is notable for charming pedicabs: bicycle-rickshaws with 'old-style' big-wheeled bicycles. Next morning I rode a bus across the mountains of Negros to Bacolod on the west side of the island. Negros has retained less than 1% of its original rainforest, but it's still beautiful. After one night in Bacolod, I went north to the town of Silay, famous as a center of the historically lucrative Negros sugarcane industry. 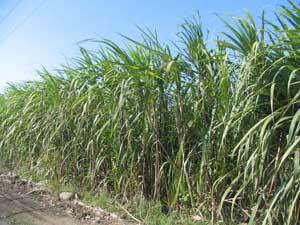 Sugar planting began about 1850, quickly became very profitable, and soon planters accumulated huge sums. 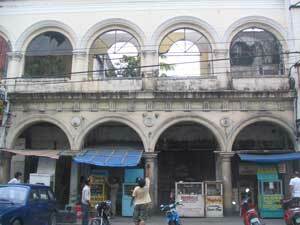 They spent some of it on sumptuous mansions in Silay, many of which have been preserved. 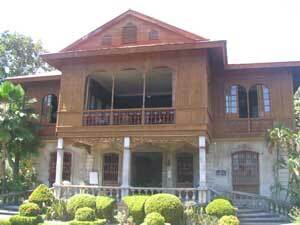 This is 'Balay Negrense', built of balayong hardwood in 1901 by the Gaston family. According to Lonely Planet, the family patriarch, Yves Leopold Germain Gaston, is credited wth being the first to cultivate sugarcane commercially in the region. Next I went north to nearby Victorias City, home of the Victorias Milling Company. 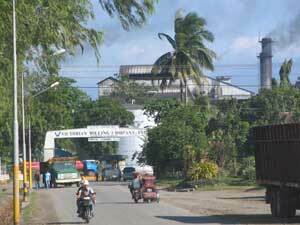 This is the largest sugar mill and refinery in Asia. I put my 'special passport' (white skin, long nose and Gomer Pyle smile) to good use here: I walked into the Victoria Milling Company administration office and was granted a personal tour of the giant mill. 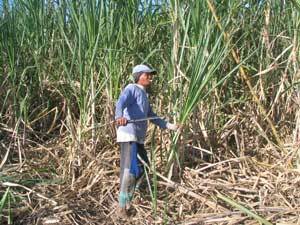 As a corollary to sugar wealth fame, Negros Occidental also has a dark history as a bastion of near-slavery for hundreds of thousands of sugar workers during the past 150 years. This area became a hotbed of rebellion as the NPA (New People's Army) recruited, organized and armed disgruntled workers during Marcos' time. 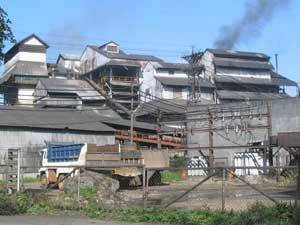 In the past twenty years there have been a few half-hearted attempts at land reform, and slightly improving the salaries and working conditions for sugar workers. Has it been enough to significantly improve the lives of the sugar slaves? I had to see for myself. 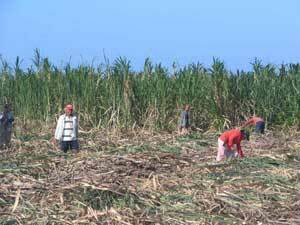 February is sugarcane harvest time, so I didn't have to go far to find some workers cutting cane. 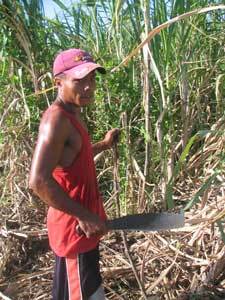 Salary: 150 Pesos (3 dollars) for a long day of cutting cane in the hot sun. Are working conditions in 2007 any better than in 1907? Next day I left Negros and was off to little Guimaras Island, sandwiched between Negros and Panay Islands. I landed in IloIlo (pron. 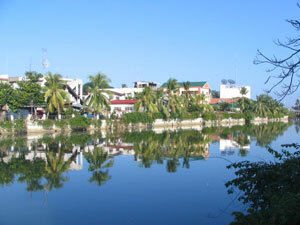 'eelow-eelow') City, Capitol of IloIlo Province on Panay's east coast. 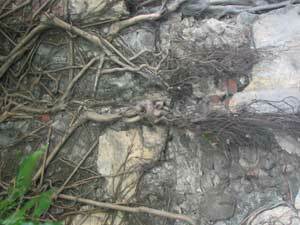 I found it a fascinating city, full of crumbling concrete buildings from various decades of the twentieth century. Was I visiting a modern city... or did the invading tree roots make this something of an 'Angkor Wat of the Philippines'? 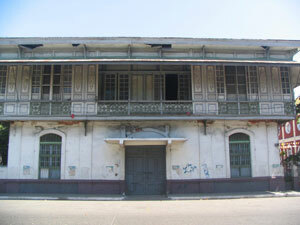 Fortunately, some of the beautiful colonial-era buildings in IloIlo have been restored.. or at least preserved. And as usual in da Pilipines... the natives seemed friendly. 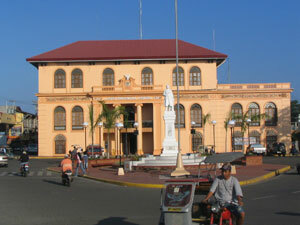 Next I was off to Roxas City, Capitol of Capiz Province in Panay's northwest. 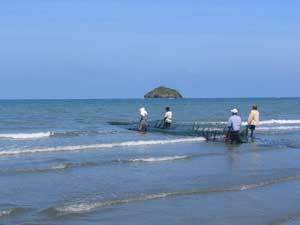 Roxas City had been recommended to me a few times, and I quickly agreed that it's quite a pleasant place. Here's the riverside view from my room at the Halaran Plaza Hotel. 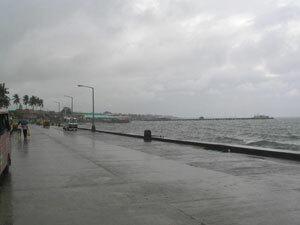 Two kilometers north of town is 'Bay-bay' (beach), a 20km. stretch of black sand, gentle waves, beach-fishing fishermen, and seemingly few tourists. 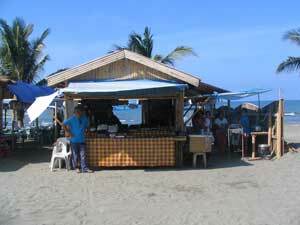 I found a little beachside restaurant with a friendly owner (Nelson) and a selection of seafood fresh from the sea. 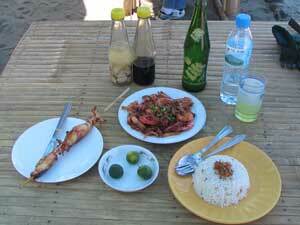 Here's my barbecued squid, grilled prawns, garlic rice, softdrink and mineral water. So good I returned the next day for more of the same. 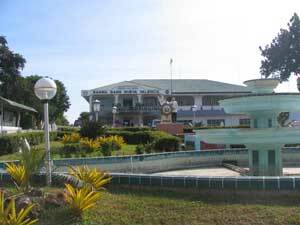 Next I was on to Kalibo, capitol of Aklan Province in northwest Panay. 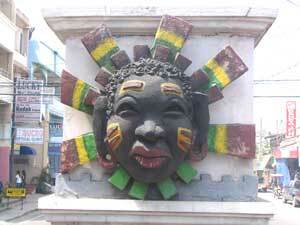 Kalibo is the home of the Ati-Atihan Festival each January, the nation's 'biggest and best Mardi-Gras' according to the Lonely Planet guidebook. 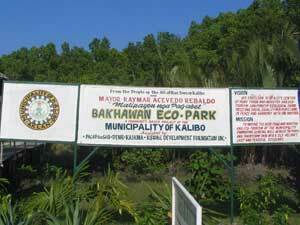 I went out to Bakhawan Eco-Park just outside of Kalibo, a multi-awarded 75-hectare mangrove reforestation project. 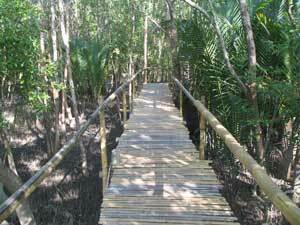 The park has a bamboo 'eco-walk' leading right through the heart of the restored mangrove forest. 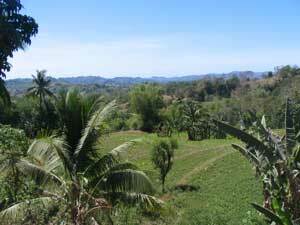 Next I traveled down the west coast of Panay through Antique Province, a beautiful strip that sees few tourists. 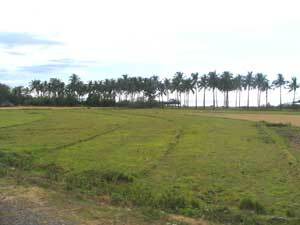 The province has a narrow coastal strip of terraced ricefields sandwiched between mountains on the east and beaches on the west. 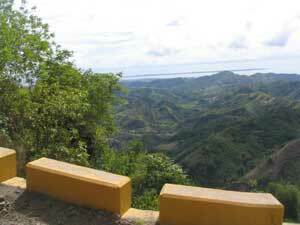 I finished my Panay loop with a busride west back over the mountains to Iloilo. 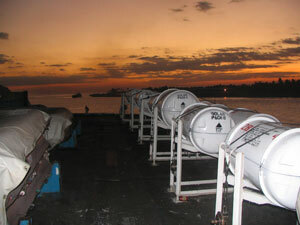 From there, I sailed home to Cebu aboard the MV Transasia Malaysia.